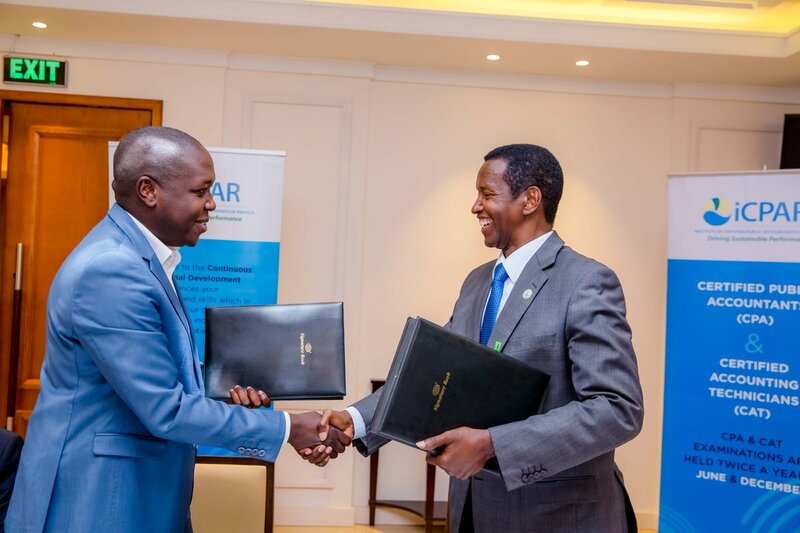 The institute of certified accountants in Rwanda (ICPAR) has appointed new leadership who assumed office with a promise to set disciplinary measures on unprofessional accountants in the country. Dr. Patrick Uwizeye, CPA yesterday picked the leadership mantle from his predecessor Mkombozi Karake who has served the institution for the last four years and left the need to establish a disciplinary committee, after making a footprint of recognition of the institution. ICPAR was established in 2008 and some of its achievements included increasing its presence in the economy, training and increasing number of professional accountants from four to close to 500 today and establishing professional syllabi for over 1000 students currently pursuing courses as Professional accounts and technicians. 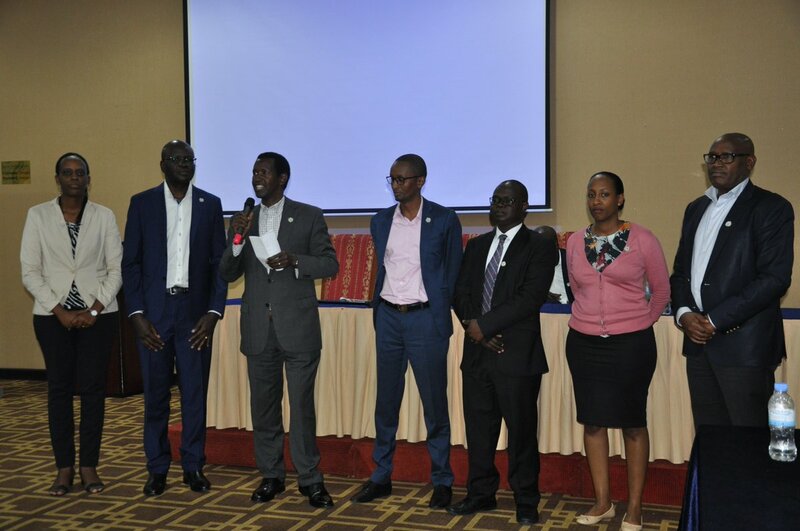 “We look forward to developing the institute, adding and revising the quality of the syllabus and things to do with disciplinary- we are going to really go into instilling ethics and make sure that every member is playing according to the rules,” said Dr. Uwizeye, the new ICPAR president after the handover. Uwizeye said that they already have a vigorous role and responsibility as accounts and accounting technicians and this will always be applied using an effective disciplinary committee that has come on board. For example, according to Uwizeye, Rwanda Revenue Authority has filed several complaints about accountants who endorse books of accounts without verifying the facts and evidence, which in turn has blemished the image of accountants despite the big gap of lack of professional and certified accountants in Rwanda. “There is a license that we give to all certified firms and if such matters arise, it will be withdrawn. So, that is punitive enough,” Uwizeye said as an example of some of the disciplinary measures that will be taken to clean the image of accountants. 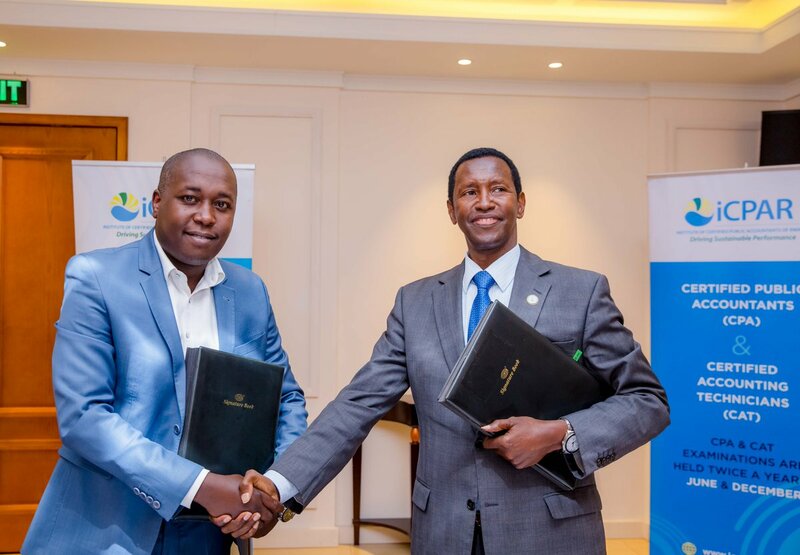 Statistics indicate that in Rwanda, the lack of accountants is still a wide ratio gap. For every 30,250 citizens there is only one accountant, while in countries like Mauritius the ratio is 525 citizens to one, and South Africa 1725 citizens to one accountant. For the outgoing ICPAR president, the institute has invested heavily in capacity building, soliciting international accredited training material and a revised syllabus for certified technician accounts (CAT), with plans to revise the certified professional accountant (CPA) programs. The new leadership has a two year term to run this office and implement their responsibilities but with an opportunity of being elected for another 2- year term.